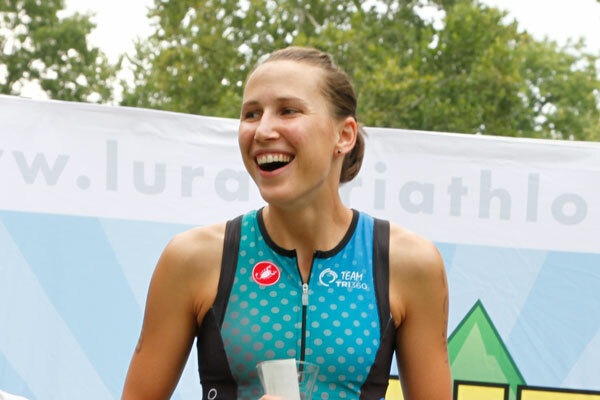 We had a lot of talent this year at both the Luray International and Sprint Triathlons. Course records fell in both races by the same two athletes: Dan Feeney and Calah Slabach. I met Calah for the first time at the pre-race practice swim on Friday of race weekend. She was there with some friends with DC Tri Club. One of Calah’s friends introduced Calah as the triathlete who was going to win both races – and he was right. Yet, Calah came across as very humble. I had no idea how talented she really was until I watched her cross the finish line first on Saturday then again on Sunday. I had a chance to follow up with Calah after Luray to find out a little bit more about her. Here’s the interview…. Q: Tell us a little bit about yourself. I come to triathlon from a running background–I did cross country and track (5k and steeplechase) at Calvin College in Grand Rapids, MI. After college, I did some work overseas and pretty much completely stopped running for almost two years. My mom convinced me to do a tri with her and I fell in love with the sport. Right now I work part-time as assistant triathlon and cross country coach at Marymount University (Arlington, VA). Q. What keeps you inspired to continue to train for and participate in triathlons? I continue to be inspired because I am competitive and I want to be better! Like many college runners, I left college with a bit of chip on my shoulder because I didn’t achieve all that I wanted to. I know that I can still improve a lot in all three disciplines, and that keeps me excited! About three months after I decided I wanted to pursue triathlon seriously, something happened to make me question the decision: my brother killed himself. I wondered if it was really such a good idea to pursue something so risky and to choose to be financially unstable. In light of such an experience, I questioned what the point of triathlon was and what good it really did in the grand scheme of things. But I decided that I wanted to make a conscious choice to pursue something I was passionate about and to hopefully have a platform to encourage other people along the way. Triathlon can be awesome for creating a close-knit community, but I think that a lot of us take it so far and make ourselves so busy we don’t have the time of day for people — I am guilty of this myself. I want to encourage people to be more intentional in their communities — whether they be triathlon-related or otherwise — to even be a little intrusive about knowing what’s going on with the people around them. You just never know who might be secretly hurting and who you might be able to help with or without knowing it. Q: Do you think that your lifestyle has changed since you did your first triathlon? I was very committed to running throughout high school and college, so I already knew what dedication to sport was, to a certain point, before I started triathlon. However, I have definitely had to up the bar since I decided I wanted to be a pro. I think the biggest challenge for me, lifestyle-wise, is how busy I am. Training for three disciplines simply takes more time and a more rigid schedule than training for one. Sometimes I honestly hate how busy I am, but I also know I only have a limited amount of time to pursue this sport seriously, and I want to take advantage of the opportunity. Be patient. By working hard and taking care of yourself, you can improve immensely, but you have to give yourself time. Q: What’s next for you for triathlon? Luray was actually my last tri(s) for this season. The fall is really busy at work, so I’m going to focus on training hard and working to achieve some goal times in individual disciplines. I’m excited to do some road races! 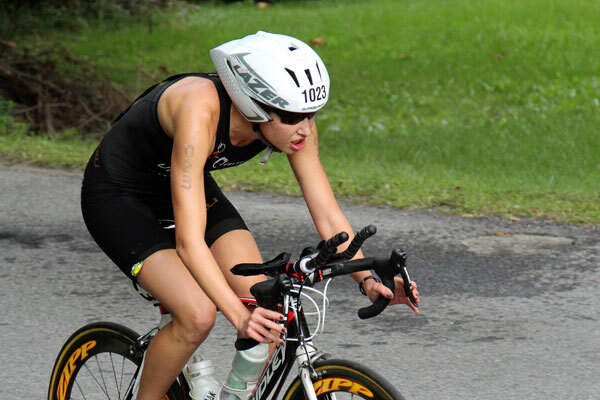 Calah, thanks again for choosing to race at Luray Triathlon! We look forward to seeing you on the podium again soon.